A stunning guide to fungi of North America. 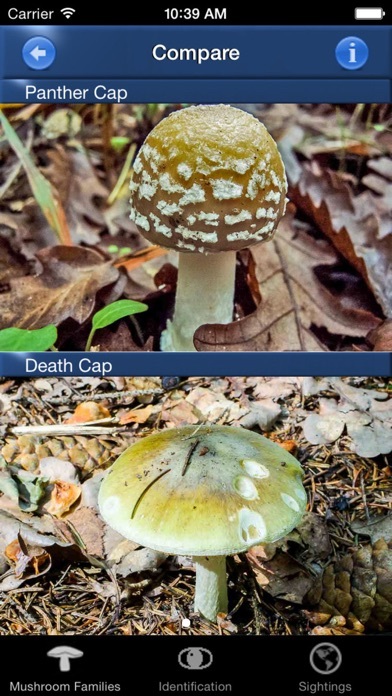 Mushroom Id will help you quickly and easily identify species of the USA and Canada. Mushroom Id is great fun to use! Identification can be enjoyed by the whole family. 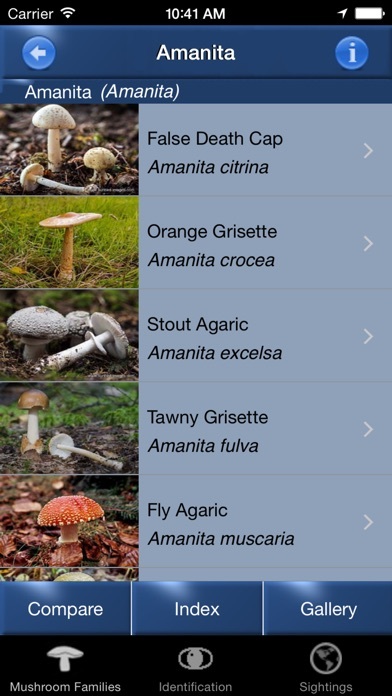 Mushroom Id has been created by professional published ecologists, and uses images selected with the specific aim of aiding identification. Anatomical, ecological and taxonomic information is also included. Mushroom Id can be used to keep a log of your fungi sightings making it easy to build a record of all the species you've seen. SUNBIRD field guides are the only products on the market that use the KUSAM species identification methodology. This state of the art method is a modern taxonomic keying system designed specifically for use on mobile devices. The app does not need an internet connection, all content is downloaded when the app is purchased. We will be adding new species regularly. Don't forget to keep your app up to date. 164 species are covered. The app is intended for the general interest user with a love of the natural world. 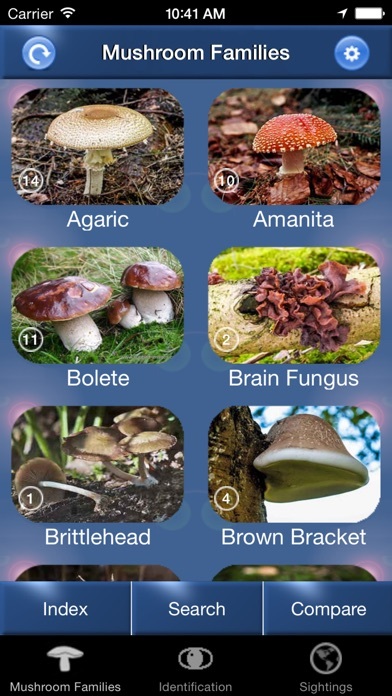 The app is not intended for use when foraging for wild foods and we strongly recommend you do not handle or eat wild mushrooms, many are extremely poisonous and easily misidentified. Database needs to be expanded and search feature should be improved. Stunning pics with a limited database. The search feature is pretty poor. The results produced did not match any of the characteristics I entered. The app is ok as it is now but has the potential to be much better. I hope they keep making improvements. By Terrible App! Do not buy!! TERRIBLE! Don’t waste your money! Other apps let u snap a photo of mushrooms you find this one does not! Terrible mushroom ID! When i put in precise mushroom descriptions, its comes up with mushrooms that are NOTHING like i’m describing! If you try to userhis to ID mushrooms, it couldcost you your life!!! 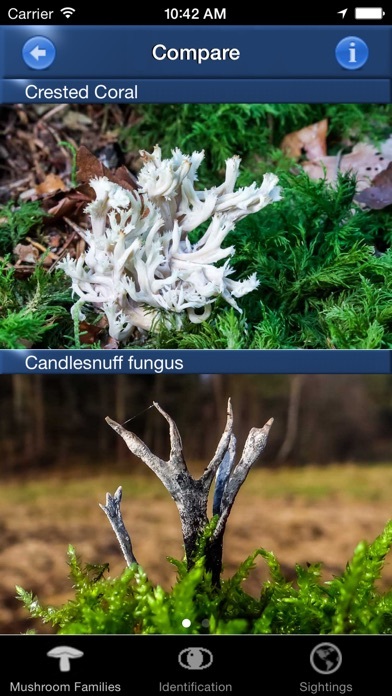 Solid, nice pictures, nothing is edible without expert advice and either I’m the world’s leading discoverer of uncategorized fungi or their database for North America is rather incomplete. How about an upload for identification option? 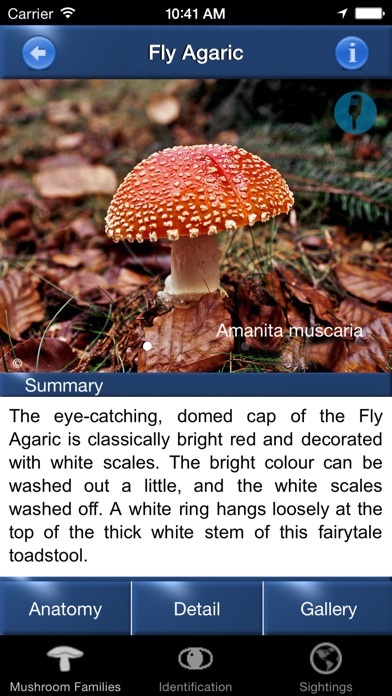 If only there were more mushrooms and descriptions in this app. Good idea just need to build it out more. Good work. I want something as visual as this just more complete. This is missing a ton of common mushrooms and really scarce in what it offers. It also doesn’t tell you where in North America you can find the mushrooms. Taking pictures and doing a google search for free is more useful. Missing basic eatable mushrooms. Very limited database. Fun to look through pictures but you will not be able to identify 90% of what you will find. Very few mushrooms in index.... essentially useless. Ive used better mushroom apps when I used to hunt mushrooms over six years ago! This app is lacking a bunch! It doesn’t have lots of very common mushrooms that you would actually find in the woods. (Turkey tail, chicken of the woods, only one oyster) It also does a very poor job of giving a good description of key features needed to identify some mushrooms. Also, why wouldn’t list the spore print color for every mushroom? That’s very important! I’m very disappointed in this app and feel like I just threw $5 in the garbage. 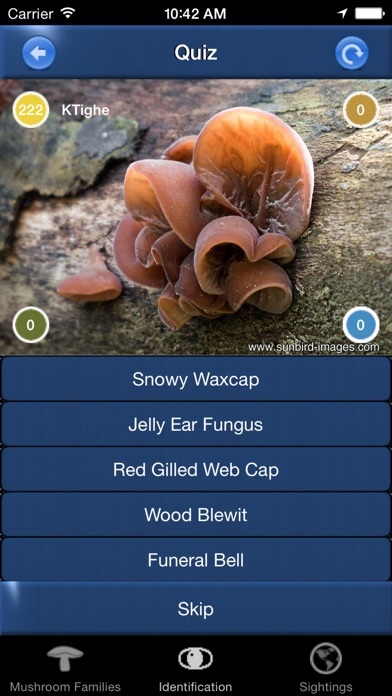 If you are serious about identifying mushrooms, this app is not good.